Evaporative cooling towers are the most energy efficient way of cooling water. They operate by evaporating a small proportion of the circulating water which cools the remaining water. To guard against legionella the system must be treated and regularly maintained. Under the current law all evaporative cooling towers must be registered and operated in accordance with ACOP L8 and HSG 272Pt1. 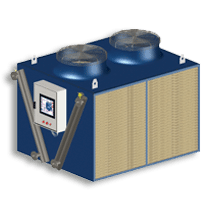 Adiabatic coolers operate as dry coolers for most of the year. They only use water for adiabatic cooling of the intake air when the ambient air temperature or cooling load is high. 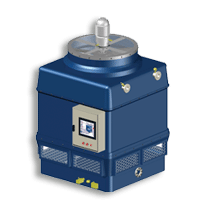 When in adiabatic mode, these systems incorporate a two-stage process. The evaporation of water is used to cool the air entering the cooler, usually by spraying water into the air stream or by trickling it over a medium through which the air passes. 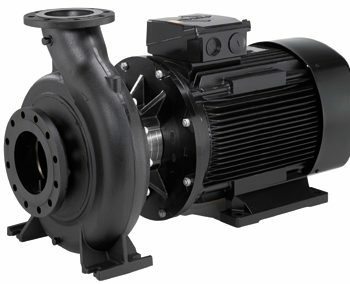 The cooled air then passes over a conventional dry cooler finned coil, increasing its cooling capacity. During the pre-cooling of the air, all the water is evaporated. 1.Is there any legionella risk with an adiabatic cooler? Certainly the legionella risk is significantly lower with an adiabatic cooler compared to a cooling tower however to say that there is no risk would be misleading. Also, if not maintained the risk increases substantially in the same way as it would if an evaporative cooling tower were not properly maintained. 2. Do I need to register a adiabatic cooler under Notification of Cooling Towers and Evaporative Condensers Regulations 1992 (NCTEC) ? “Owing to their different principles of operation, these systems may not require notification under the Notification of Cooling Towers and Evaporative Condensers Regulations 1992 (NCTEC) but it is important to assess the system against the notification requirements defined in NCTEC, e.g. where such systems spray water directly onto the surface of the heat exchanger. This really leaves the decision to the operator to assess the type of adiabatic system they are using. 3. 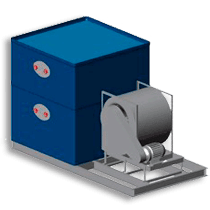 Do I need to carry out a risk assessment on an adiabatic cooler? Yes. The adiabatic unit uses water which may create an aerosol and a means of disseminating breathable droplets. For this reason, a risk assessment should be carried out. 4. Is an adiabatic cooler as efficient as an evaporative cooling tower? No, the evaporative cooling tower is the most efficient means of cooling water. 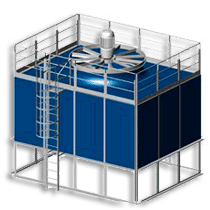 An adiabatic cooler will require anywhere between 50 to 100% more energy and occupy somewhere between 1.5 to twice the plan area of an evaporative cooling tower. Cooling towers can be designed provide cold water temperatures within 3 0C of the wet bulb whereas adiabatic coolers can only be designed to provide cold water temperatures within 6 0C of the wet bulb. 5. 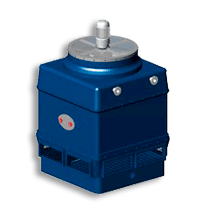 Do I need to provide water treatment for an adiabatic cooler? Yes water treatment is required albeit substantially lower chemical usage is required. Most adiabatic coolers are provided with UV light treatment systems to treat the spray water against legionella bacteria and often incorporate scale prevention systems to help protect the coil against scale fouling. These need to be monitored and maintained to ensure that they are in good working order. 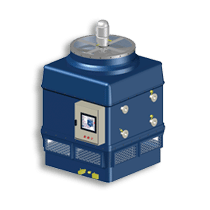 The closed system will also require treatment to prevent corrosion, scale and bacteria causing problems within the cooling system. Filtration may also be required to protect sensitive areas within the cooling system and prevent fouling in low velocity regions of the cooling circuit. 6. 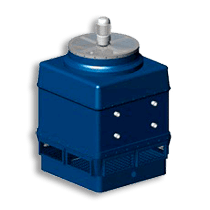 Do I need to protect the adiabatic cooler against freezing? Yes if the system is not operated when there is a risk of freezing the system needs to be drained or protected by the addition of ethylene glycol (anti-freeze) or it may be appropriate to ensure water is circulated through the system at sufficient velocity to prevent freezing or provide a source of heat to the system. However, if there is a power cut unless there is a standby power supply freezing and potential damage to the coil may result. Sometimes the system water can be arranged to drain into a tank leaving the adiabatic cooler empty. However this will increase system corrosion due to greater oxygenation of the water and if the system fails to drain then freezing can occur. 7. How much water does an adiabatic cooler use compared to an evaporative cooling tower? 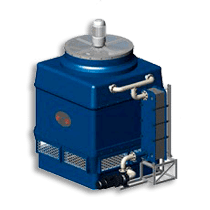 As the adiabatic cooler operates as a dry cooler for much of the year and the adiabatic cooling is only used when higher ambient temperatures are reached the water consumption of an adiabatic cooler is substantially lower than a cooling tower. In the order of 90% lower depending on the application. 8. 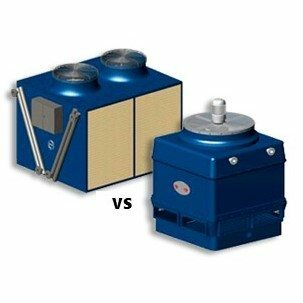 How does the operating cost of an adiabatic cooler compare to an evaporative cooling tower? This very much depends on the type of evaporative cooling tower. 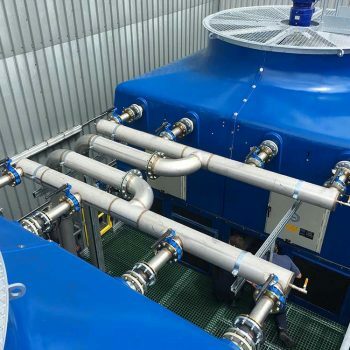 Generally, when compared to an open cooling tower an adiabatic cooler will offer lower operating costs, but energy consumption will be much higher, however when water treatment, water, and maintenance costs are considered the adiabatic can often show an advantage. 9. How does the life of an adiabatic cooler compare to and evaporative cooling tower? 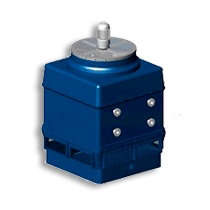 As with any piece of equipment good maintenance of the plant and system it is connected to will ensure its maximum life and will vary from location to location. However generally the estimated life of a cooling tower would be anywhere between 20 to 30 years whereas an adiabatic cooler would have an estimated life of between 15 to 20 years. Martin Crunden has over 40 years experience in the industrial and commercial cooling market. He has provided guidance and advice to leading industry bodies on cooling system design and technology. 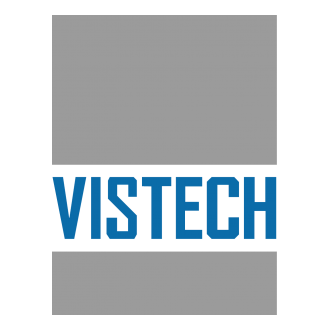 He is currently Managing Director of Vistech Cooling Systems Ltd based in the UK.